Check out Forward March Inc.
Have you seen our website? Check us out online at http://www.forwardmarchinc.com. Business Consulting with a Military Flair! We put the HOOAH! in business! Leadership makes a difference. Maybe its your little league team mates that rally behind the third base man because of his third grade charisma. Maybe its that college professor you had that taught lessons “outside the box” and opened your eyes to a new way of seeing. Perhaps it was that Master Sergeant that trained you and your team how to prioritize and organize your actions for mission success. Maybe leadership strikes much closer, in the home, as you model the kind of integrity and behavior a grown man or woman should have for your children. No matter where you look, leadership makes a difference. Leadership makes a difference. Not everyone can be a successful leader, at least not in every instance. One thing that all five branches of the military teach is that effective leadership can be trained. For more than two hundred years the military of the United States has been developing, honing, and deploying methods of leadership that have resulted in the finest military the world has known to date. Those who leave military service with strong leadership training go on to adapt their leadership skills to civilian life. Companies who hire these veterans with strong leadership skills benefit greatly from having them in their organization, but that is another article. Like all successful companies and organizations you are looking for strong leadership in your company and that comes from quality leadership training. What is effective leadership training? If your leadership training program does not boost performance, execution and motivation then you have the wrong form of leadership training in place. Quality leadership training will boost performance, quality of execution and motivation. Military influenced leadership training can employ best practices that have been developed over a very long period of time by the military. Quality military leadership trainers bring experience in “connecting” the information to the trainee in a way that insures a greater return on investment through a higher and more consistent grade of leaders. Where can you find leadership training that gets results? We grow leaders like no other! With over 110 years of military leader development experience behind us, let Forward March Inc., help you achieve your leader development goals. We offer varied types of training courses tailored around your needs, ranging from one-on-one professional coaching, to on-site group training, that bring a “boot-camp” style of training with a fun flair. It’s not just training, it’s a commitment to organizational excellence! Entrepreneur Magazine posted an article 10 Lessons from America’s Greatest Military Leaders. Forward March Inc. (FMI) proudly presents for the New Year Forward March Operation Outreach. FMI has been working hard to help veterans through our non profit programs Professional Women Veterans Coalition, Maui Warrior Appreciation Vacation and through our partnership with Fred Astaire Dance Studios Dancing with Our Heroes. We have been hard at work connecting companies and veterans through job fairs and employment networking events. Through Dancing with Our Heroes we have helped to raise over $300,000 for the Fisher House Foundation and the USO. Under the Forward March Operation Outreach the programs mentioned above will continue to grow and serve our veteran population in 2015. We encourage you to learn more about each of our Forward March Operation Outreach programs here… We also encourage you to follow this news feed to get the latest information on events as well as opportunities for you and your organization or company to get involved in helping veterans. Stay tuned for some very exciting Forward March Operation Outreach events coming soon! 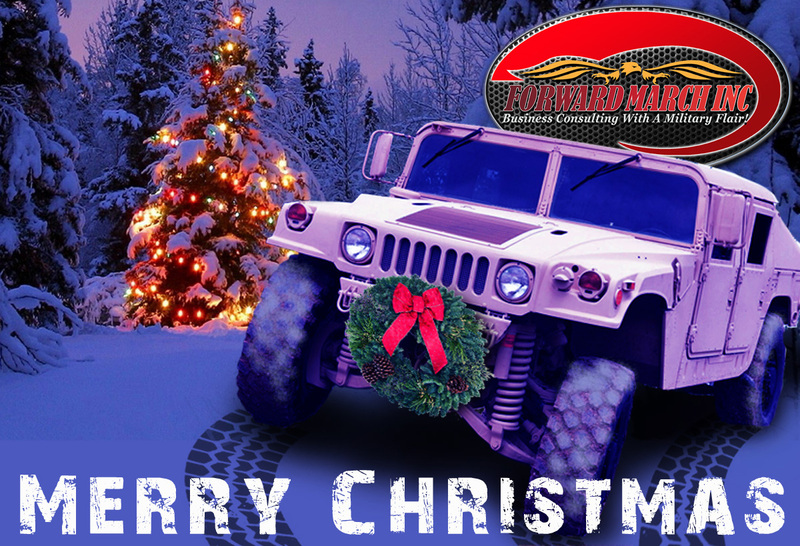 All of us here at Forward March Inc. want to wish you and yours a very Merry Christmas. Take the time to enjoy family, friendship and the warmth of the season. 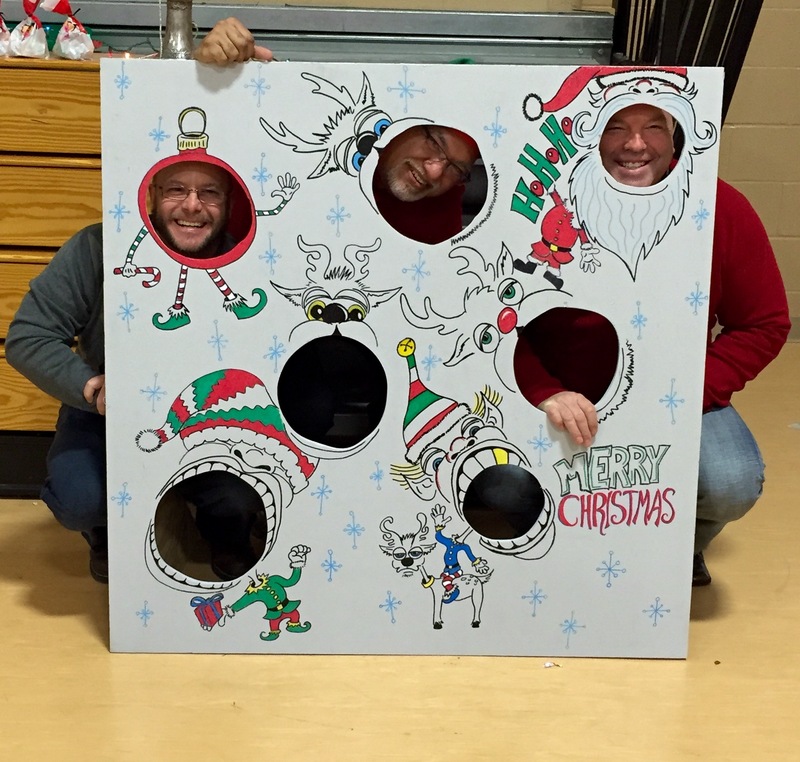 Last Sunday some of the Forward March Inc. team had the opportunity to spent the afternoon at Saint PJ’s Children’s orphanage lending a hand with their annual Christmas party. 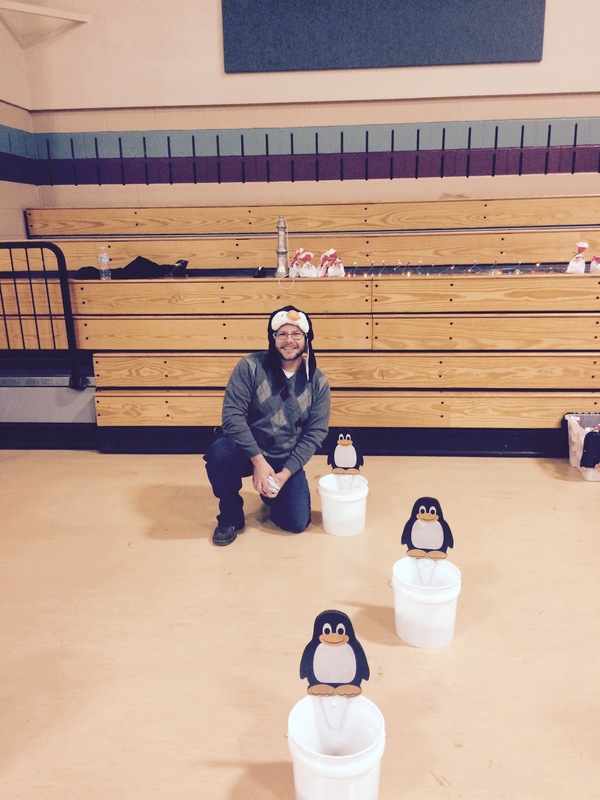 We also had the opportunity to deliver the donations that we had collected with DMI and all those who made donations during our annual Holiday Mixer. Have an outstanding Christmas and come back on December 29th when we will resume our regular news posts. Forward March Inc. (FMI) is an outstanding place to work. The energy and the teamworkin our offices are truly unique. We are a company of veterans committed to helping veterans. It is our desire to see our nation’s greatest treasure, our veterans, have the opportunity to work at a meaningful career instead of a j-o-b. We work with companies who have committed to hiring veterans and building a strong veteran culture within their companies and organizations. Our customers come in all sizes. 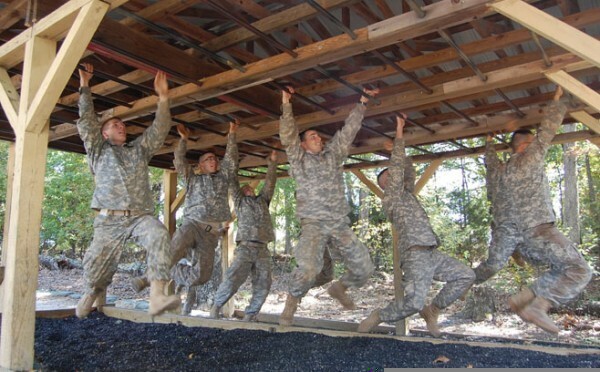 Our military talent pipeline services are scalable and customizable. We can provide our services for the “mom & pop” business or the international energy corporation. Our approach and our solutions are unique in the industry. Unlike others in the industry we NEVER charge a veteran for our services. NEVER! We have carefully crafted solutions that insure that our approach never charges a veteran, nor does it skim off his/her salary in any way. FMI has more than 35 years of collective experience connecting veterans and companies. Many of our previous articles have discussed the value of a veteran and how veterans can bring a variety of skills and training to the workplace. Veterans leaving the military today are the most technically savvy and highest educated veteran population our military has ever turned out. FMI can find high quality military talent for a wide variety of positions. Our dedication to our customers insures that you will get the right person for the right job at the right time. We can help your company or organization learn how to retain military talent ensuring your mission needs are always met. Today’s growing medical facilities and national medical infrastructure demand high quality medical talent. FMI can bring you highly qualified medical personnel to fit your medical hiring needs. FMI training can help your human resources department learn the skills needed to find, attract, hire and retain high quality military talent. 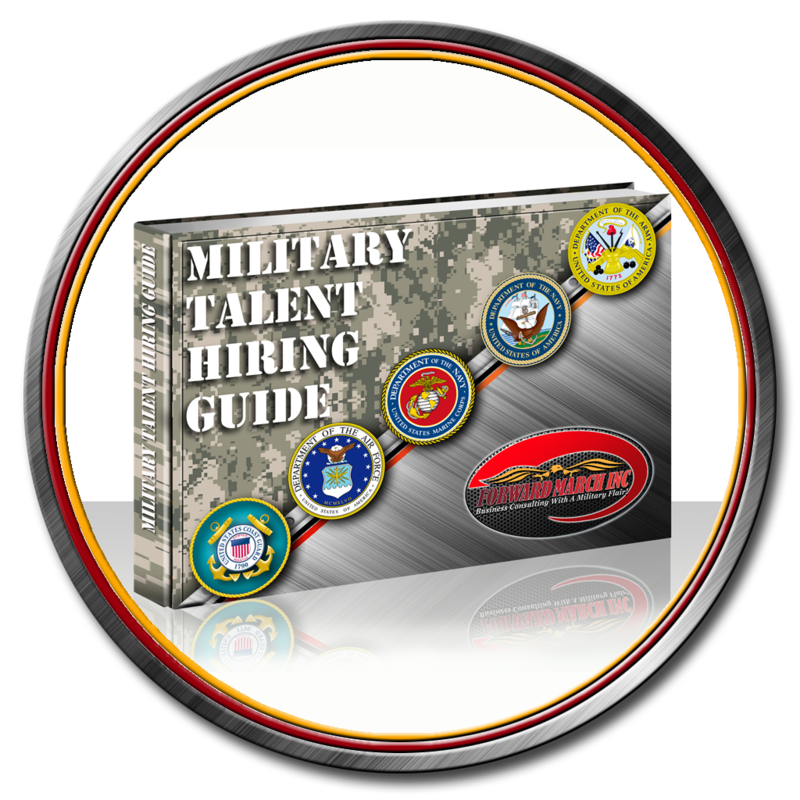 We have a Military Hiring Guide that we can customize for your organization’s needs and get you on the road to hiring veterans very quickly. Unlike others in the industry FMI offers a wide variety of services that can help your organization after you have begun the process of becoming a veteran-friendly employer. We can help you with retention and building a robust veteran culture within your organization enabling you get the most from your veteran hiring program. FMI can help you to have an energized, focused, and more productive staff. We do leadership training like no other company can. Our leadership training team draws from a rich military background of training leaders. We can help your organization to achieve mission success through our leadership training. We look forward to connecting with you and helping your organization today!